Julia earned her first National Association of Canine Scent Work NW3 Title. Super proud of my girl. She worked so hard. The trial was held at the North Fork Girl Scout Camp in Middleburg, Florida on Sunday, December 9, 2018, and hosted by the K-9 Obedience Club of Jacksonville. There was a 100% chance of rain that day so I knew it was going to be a challenging trial. It rained the entire hour drive over from the hotel to the trial site and continued raining (pretty heavy at times) all morning until about noon. It was a muddy, mushy mess. At check-in, the officials had made the decision that there would be no walk-through of any search element sites. They tried describing each element as best they could. There was also the decision made that each dog/handler team would drive to each search site by car. I've never heard of either such thing but knew the officials were doing the best they could given the situation and that everyone was in the same boat, literally. The day consisted of containers and interiors in the morning, then exteriors and vehicles in the afternoon. Thanks to the K-9 Obedience Club of Jacksonville for hosting the event. You all did a terrific job. Brilliant day today for Julia at the AKC Scent Work Trial(s) hosted by Central Florida Agility Club in DeLand, Florida. A big shout out to the host, judges, volunteers, and competitors. Such a fun time! Julia titled in both Novice B Exterior and Novice B Buried. Her runs consisted of a 1st place (Buried Trial 1), two 2nd places (Buried Trial 2 & Exterior Trial 2), and a 3rd place (Exterior Trial 1). Top it all of with a High In Trial (Trial 2). Super proud of her!!! Special thanks to Bad Azz Dogz for the photos! Julia competed at her second AKC Scent Work Trial(s) up in Daytona Beach, Florida this weekend. (The weekend consisted of 4 total trials. Julia was in 3 trials). The event was hosted by Obedience Club of Daytona. First, a huge thank you to the host, judges, volunteers, and other competitors. It was a truly fun event. Good job! In the trials Julia competed in, she titled in Novice B Containers, Novice B Interior and received High In Trial for Novice B Trial 2 Saturday. She racked up two 3rd places in Novice B Containers, 1st and 3rd place for Novice B Interiors, and 2nd place buried in trial 2. After titling in Novice B Containers and Interiors, I moved her up to advanced and she placed 4th in Advanced Containers (No ribbon, we hit the road before results were official) and 5th in Advanced Interior. She was 7 of 9 over the weekend. The only 2 misses were on the buried hides which are still quite new to us. In a nutshell, we had a blast. It's always great to spend some time with my girl. Below is a video of her advanced container run. Videos are such an important learning tool. Had I not got hung up on rewarding her for the first hide, we would have been about 6 seconds faster. Good job Julia!!! Been awhile since I've checked in. Since Logan passed away last year, I've stepped back a tad from photography and engaged with my other dog Julia. During Logan's illness, she kind of took a backseat. Prior to moving to Florida, Julia and I were involved in the sport of canine nose work, also known as scent work. We have competed with the National Association of Canine Scent Work (NACSW). Julia has her NW1 and NW2 titles. Before leaving California, we tried for her NW3 title but weren't ready. We came up way short. Just last month we competed in the NACSW NW3 down in Tequesta, Florida. Again, we fell short but improved tremendously. We found 6 of 9 hides for 72.92 on the day. Not enough to title (100.00 needed) but a fun day none the less. We were successful in the containers and vehicles. We missed 1 hide on the interiors and 2 hides on the exteriors. Always a learning experience. We'll get em' next time. Very proud of my girl. Below are video's of our searches that day. Interiors were not filmed. 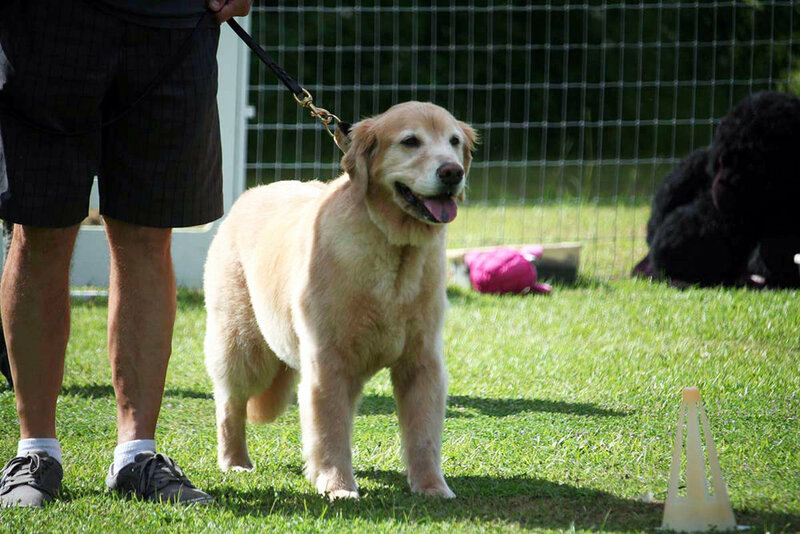 We'll be competing in the AKC Scent Work Trials in Daytona Beach, Florida next month.